Taking a break from our usual “What to Wear Wednesday” to pay homage to the great Shirley Temple Black. 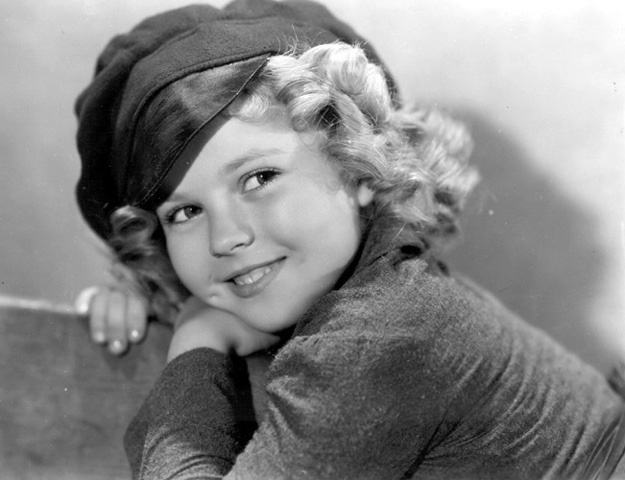 As most of you know, Shirley Temple Black, the pudgy-cheeked child movie star who was a full of gumption and cheer throughout the Great Depression, died Monday at the age of 85. She started her acting career at just 3 years old… and it lead her to play 43 roles until she retired from performing in 1950. However, she stayed in the public eye as she went on to be a foreign diplomat. She served as the US Ambassador to Ghana and Czechoslovakia. What a life lived to it's fullest! I loved her movies as a kid, probably because I felt I could relate to them. Loving to sing and dance, it was so inspirational to see another kid singing and dancing with such enthusiasm. 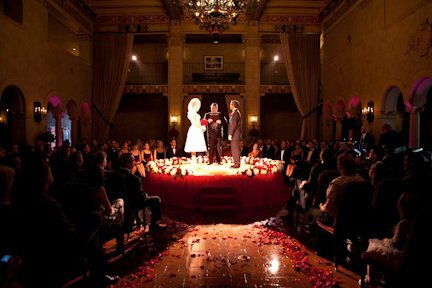 So, when my husband and I were looking for wedding locations back in 2010… the beauty and nostalgia of the Hollywood Roosevelt Hotel was made even sweeter when we learned that Shirley Temple and Mr. Bill “Bojangles” Robinson are said to have practiced their famous tap dance from “The Little Colonel” (1935) on a stair case between the lobby (where we ended up getting married) and the ballroom (where we had our reception). It kinda sealed the deal for me! Here's footage of the dance performed by Shirley Temple (Age 6) and Bill “Bojangles” Robinson (age 57). 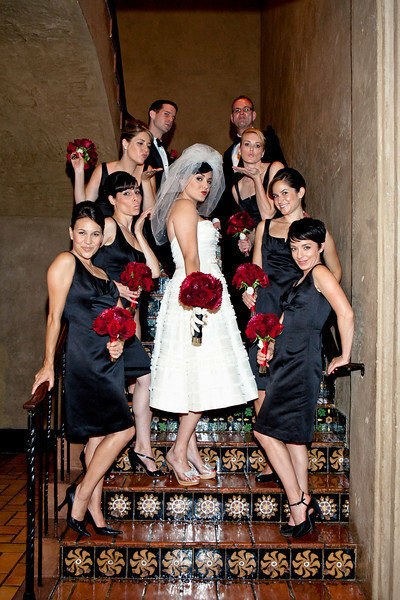 And… here's my bridal party on the stairs where they supposedly rehearsed : ) Fun! And… here's a photo of our actual wedding (around the corner from the staircase) with our handsome officiant John Saunders. Thank you Miss Shirley Temple Black for giving so many young performers a hero to relate to at such a young age… and for giving this not so young performer and extra special treat on one of the best days of her life!